Ms. Buck is in her 31st year working for the Urbana School District. She has worked primarily at the adult education center in the APL program. This is where you will find her now. In previous years, she also worked as a TA at the Gerber School on the Cunningham Children’s Home grounds, has taught a class for clients of the Champaign County Probation Department and has volunteered and subbed in ESL classes. She has helped provide workplace educational services at the University of Illinois and Flex-n-Gate. Ms. Buck has a BA in English from the University of Illinois. Along with former co-teacher, Sheri Langendorf, Ms. Buck was awarded a state grant to develop a health literacy curriculum in collaboration with Carle Foundation Hospital and the University of Illinois Extension. Updating and creating a relevant curriculum continues to be a focus for Ms. Buck. 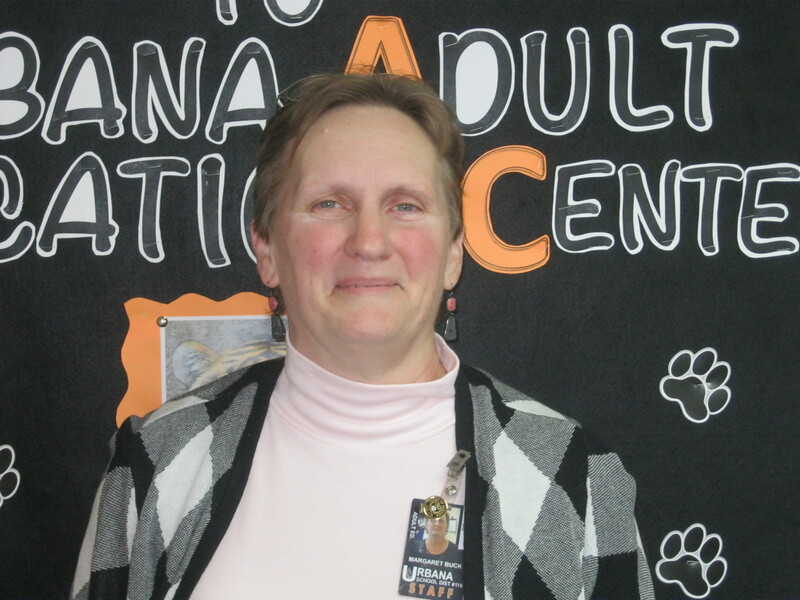 Ms. Buck, along with former co-teacher, Sheri Langendorf, was selected for the Arthur J. Stejskal Teacher of the Year Award by the Illinois Adult and Continuing Education Association in 2011. She has served in the past as a member of the planning committee for the local Read Across America event which, in conjunction with the support of numerous local agencies and the NEA, celebrates and encourages young readers every March. Ms. Buck is also active in her church and its outreaches into the community. Urbana Adult Education is proud to announce that Mrs. Buck is one of two staff members who was nominated for a 2016-2017 Life Changer of the Year award!